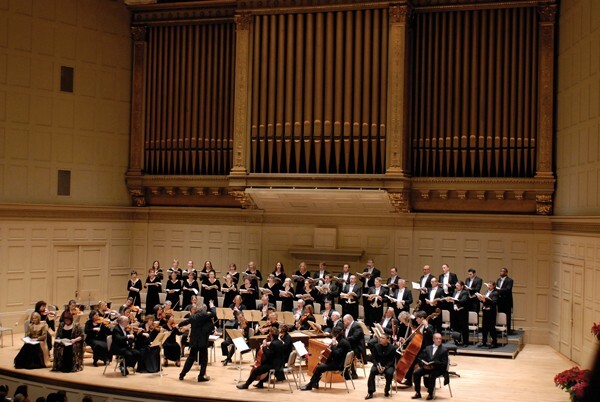 The Handel and Haydn Society concluded their season with a program of King and Queen’s Coronations Music: from Handel’s “The Arrival of the Queen of Sheba, from Salomon” and “Coronation Anthem No. 1, Zadok the Priest,” Hayden’s “Symphony No. 85 La reine,” “Exsultate, Jubilate, K. 165” and “Mass in C Major, K. 317, Coronation” by Mozart. Maestro Harry Christophers received accolades for an exceptional season of direction and the silver voiced soprano, Ms. Teresa Wakim, enjoyed a triumphant debut. 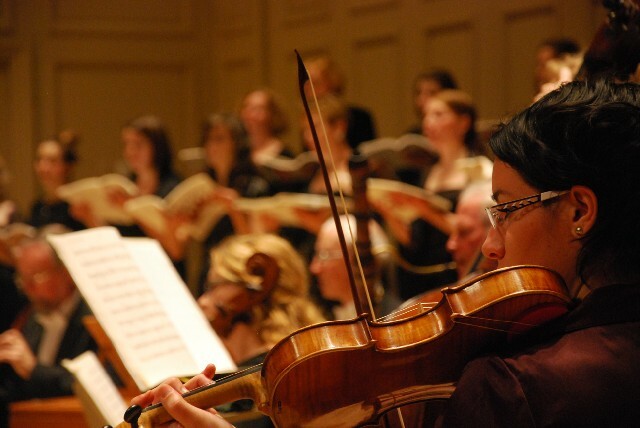 Haydn’s “Symphony No. 85” in B flat major, was conducted with expressive drive and intensity by maestro Christophers. This Symphony, the fourth of the six Paris symphonies written by Joseph Haydn, is nicknamed “La reine (The Queen).” It bears the stamp of royal favor because Marie Antoinette, then Queen of France, declared it her favorite and, with both her consent and Haydn’s, the designation La reine de France appeared on the title page of the score when published in 1788. 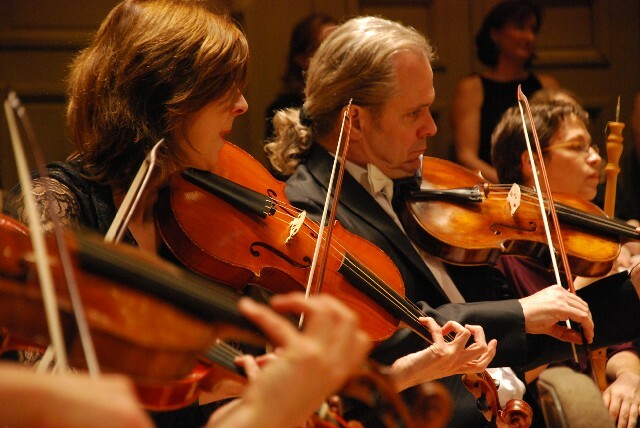 It is the only one of the Paris symphonies whose nickname is of 18th century origin. The crispness and elegance of the first movement was followed by the variations on French folk-songs, La gentile et jeune lisette, of the second movement. A solid and lovely bass line, the violinist concertmasterplayed by the passionate Ms. Aisslin Nosky provided the strings with glowing warmth. The exuberant orchestral color allowed the beautiful wind solos to shine through with grace. 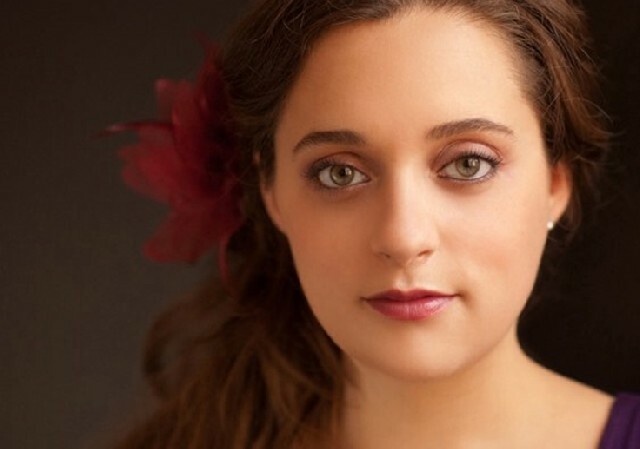 With commanding stage presence, soprano Teresa Wakim, in her Handel and Haydn Society debut, sang the jewel, Alleluia of “Exsultate, Jubilate, K. 165” in a ravishing, pure-toned, crystal clear, lyric voice. This religious polyphonic motet was divided into three parts – Allegro recitative, Andante and the Alleluia. It was originally written for castrato, Venanzio Rauzzini, in 1773 when Mozart was visiting Milan. Mrs. Wakim’s florid coloratura, effortlessly reaching high C, brilliantly expressed the aria’s virtuosity. The anticipated piece de resistance, the “Coronation Mass,” completed the repertoire. Composed by Mozart for his patron Prince-Archbishop Heironymus Colloredo, a few weeks after his return to Salzburg from Milan, the “Mass in C Major, K.317,” was to be performed on Easter Sunday. The work acquired its nickname when it was performed for the coronation of Leopold II, in 1791. This Mass, less than seventy five minutes long, was one of several extraordinary works Mozart managed to create during an immensely frustrating time in his life. 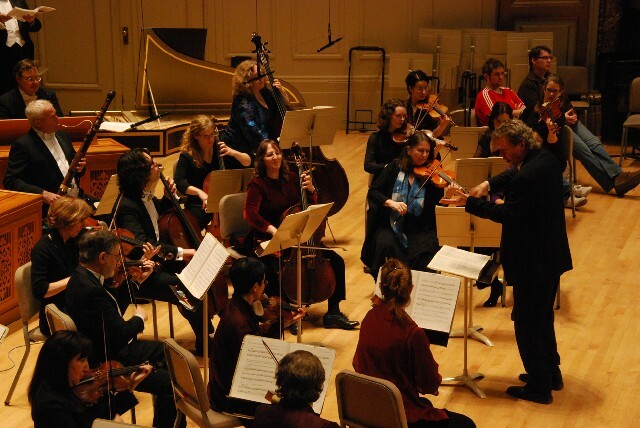 Under Maestro Christophers’s direction, it sparkled with bright orchestral and choral colors. The majestic rhythms of the Kyrie became even more triumphant with the sounds of the brass and timpani followed by the quick, sharp chords for the Gloria and Credo. The Gloria exploded in a fast movement, opposing the chorus to passages for vocal quartet and culminating in dramatic solo exchanges at the final Amen. The Agnus Dei written in pastoral style, with its graceful tempo for cellos and basses, and counter melodies for oboes and violins, invited us through the burnished quartet ­ – soprano Teresa Wakim, mezzo-soprano Paula Murrihy, tenor Thomas Cooley and baritone Sumner Thompson – into a peaceable kingdom, where the sins of the world are forgiven (qui tollis peccata mundi). Mrs. Wakim’s transcendental aria, with her smoothly rounded, cuddly and luscious tone, exuded the purity, absolute accuracy of intonation, and great flexibility of a finely-tuned instrument. Responding to an enormous ovation, and with tears of emotion and joy, Ms. Wakim took the stage for four curtain calls. Her memorable and regal performance was indeed a coronation!